Men and women who learn they need a root canal often become anxious over the procedure in anticipation. A root canal doesn’t have to be a stressful, uncomfortable experience when you visit Kourosh Keihani, DDS, and the skilled dental team at Oxnard Dentistry. You'll be hard-pressed to find a more experienced dental team than Oxnard Dentistry in Oxnard, California. The team performs root canal procedures all the time. Call or book an appointment online if you’re worried about a root canal treatment. A root canal is a dental treatment that saves and repairs an infected tooth. When the inside of your tooth is severely infected or decayed, one of the expert dentists at Oxnard Dentistry extracts any dying or dead tissue and bacteria from the tooth's interior. Doing so lets them get rid of your pain and preserve your tooth. An untreated cavity or oral injury can cause infection in the tissue and roots of your teeth. The infected tissue may enter the root or pulp of the tooth if you put off going to the dentist. If the infection develops any further this can lead to many other issues, so make sure you seek help. Typically, one of the highly skilled dentists at Oxnard Dentistry can take care of your tooth in one or two visits. You may first require an X-ray to determine the extent of damage to the tooth needing the root canal. When it's time for the procedure to begin, one of the dentists at Oxnard Dentistry will apply a needle to anesthetize the area. If needed, they set a dental dam, or a small film of rubber, on your tooth to keep it hygienic and shielded while the procedure is happening. Once your tooth is anesthetized, the dentist makes a small incision in your tooth to reach the diseased area within the root. Then, your dentist removes the infected and damaged pulp using small files, then washes away any debris from the area with water. 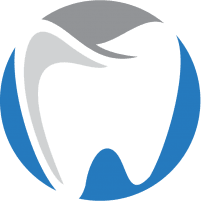 After all diseased matter is gone, your dentist either seals the tooth or inserts a non-permanent filling to shield the tooth until you return for a permanent crown. Call Oxnard Dentistry or book a consultation online if you have any symptoms or signs of a tooth infection.